All bargain and deal loves listen up! 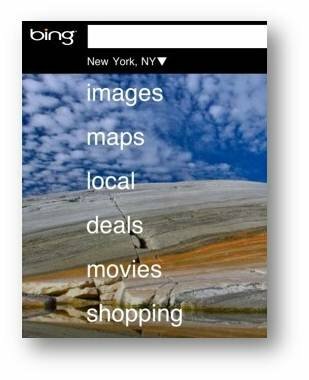 Bing, the emerging search engine, is releasing a local deal finder feature for their mobile and desktop platform. Just like Groupon and Living Social, Bing Deals searches and populates a list of local deals in your area and where you plan to go. Bing deals is going to give users access to over 200,000 deals in about 14,000 cities at initial launch in the U.S. Bing is the hub for finding deals, grabbing the latest deals from Groupon, Living Social, Restaurant.com and many other deal finding website and making it easier for the user to discover deals in their area. In their release Bing explains that they aren’t getting the deals but they are partnering with The Dealmap, to find deals and bring it to one place for users to access. “Bingâ€™s mission is to help you cut through the clutter of the Web to make decisions more quickly,” and that’s what it does, quickly singling out the best deals for you and giving you what you want to know. Bing’s partnership with The Dealmap is a very strong move for them, the existing service is great for finding and sharing the best local deals. To access Bing Deals on a mobile device, like the iPhone or Android just visit m.bing.com and the “Deals” menu will be on the front page. Bing wants to make clear mention and say that these aren’t your little deals that you will find no use of. No, these deals will be 30-50% off. The not to miss deals will always be highlighted on the Bing Deals front page. Previous articleWhat Is The Best Way To Find iPhone Apps?